Clean Carfax! Clean Title! 1-Owner Vehicle! SL Package! Full Serviced! Leather Seats! Blinds pot Assist! Reverse Camera! Rear Parking Sensors! Heated Seats! Third Row Seats! Power Litigate! Priced below KBB Fair Purchase Price! 27/20 Highway/City MPG Awards: * 2015 IIHS Top Safety Pick * 2015 KBB.com 15 Best Family Cars Reviews: * Premium interior design with high-quality materials; easy third-row access; good fuel economy; user-friendly electronics interface. 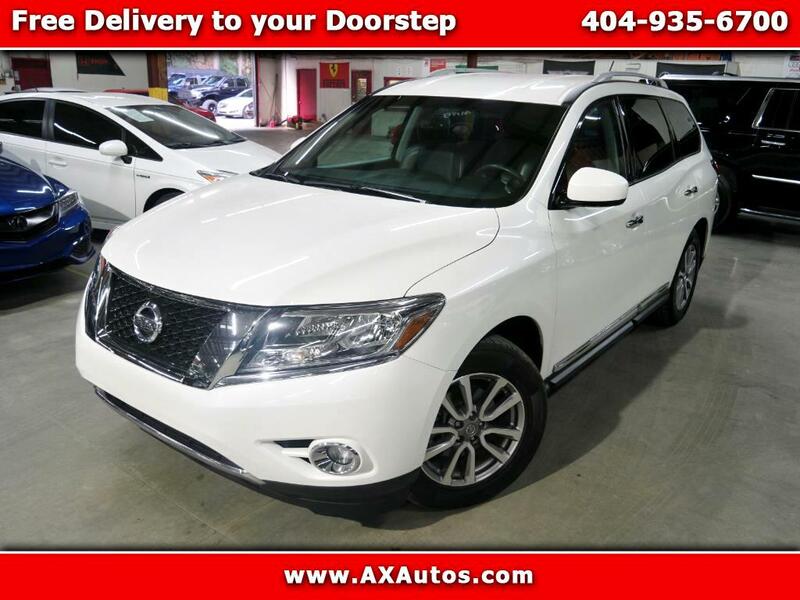 Source: Edmunds * The Nissan Pathfinder is an incredible 7-passenger crossover that features a sporty look with plenty of attitude and space to go around. It has luxurious body sculpting that starts with the tapered front,? with its chrome-framed grille and dramatic head lights,? and then glides all the way back. It has notably large windows as well,? which helps the driver with visibility. The Pathfinder is not only available as a gasoline vehicle,? but a new Hybrid as well. The gas models share a 3.5L V6 engine with 260hp and 240 lb-ft of torque,? which is paired with the incredible Xtronic Continuously Variable Transmission.